Launceston Golf Club is a friendly members club and a great venue for a day’s golf for green fee players or societies. We offer value for money packages for golf and social events with excellent catering facilities, friendly staff and deals suitable for parties of all sizes. The course is an 18 hole par 70 over parkland and offers something for every standard of golfer, the course measures 6,385 yards off the back tees and 6,093 from the daily tees. 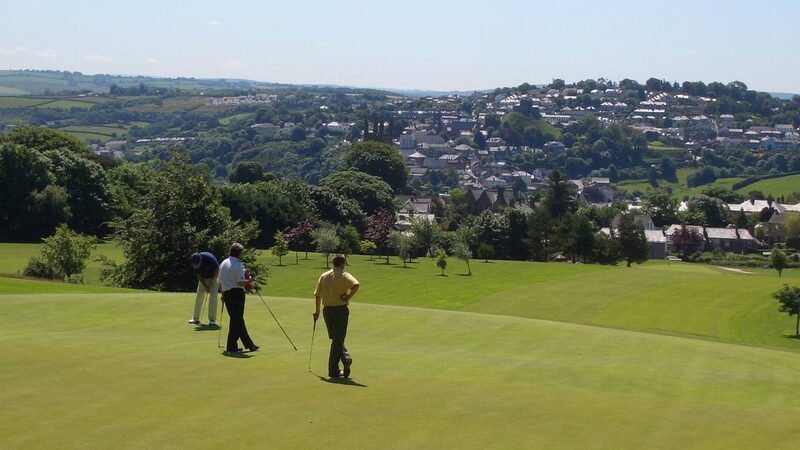 The elevated levels of our Golf course offer spectacular countryside vistas of both Dartmoor and Bodmin Moor, with majestic views of the historic town of Launceston, the ancient County capital and its Norman castle. We also have a practice putting green and practice nets and a well stocked Pro Shop. New for 2019 indoor practice studio. We pride ourselves on our friendly welcome, attention to detail and a flexible approach to ensure you and your guests enjoy a great day with us and encourage you to return. We can help you create the day you require either from one of our standard packages or by tailoring the package around you. 18, 28 and 36 hole packages available with breakfast, lunch and evening dining options. Packages start from £34.95pp We are always happy to offer packages tailored to suit your own requirements. Located off the B3254 Launceston to Bude road just north of Launceston. Book online for our best rates www.launcestongolfclub.co.uk or call 01566 773442. The club has links with various hotels and B&Bs which can be contacted and details can be found on our website. 18-hole course, club house, bar, outside balcony, function rooms, pro shop, free WIFI, changing rooms, car park, indoor practice studio, putting green and practice nets.